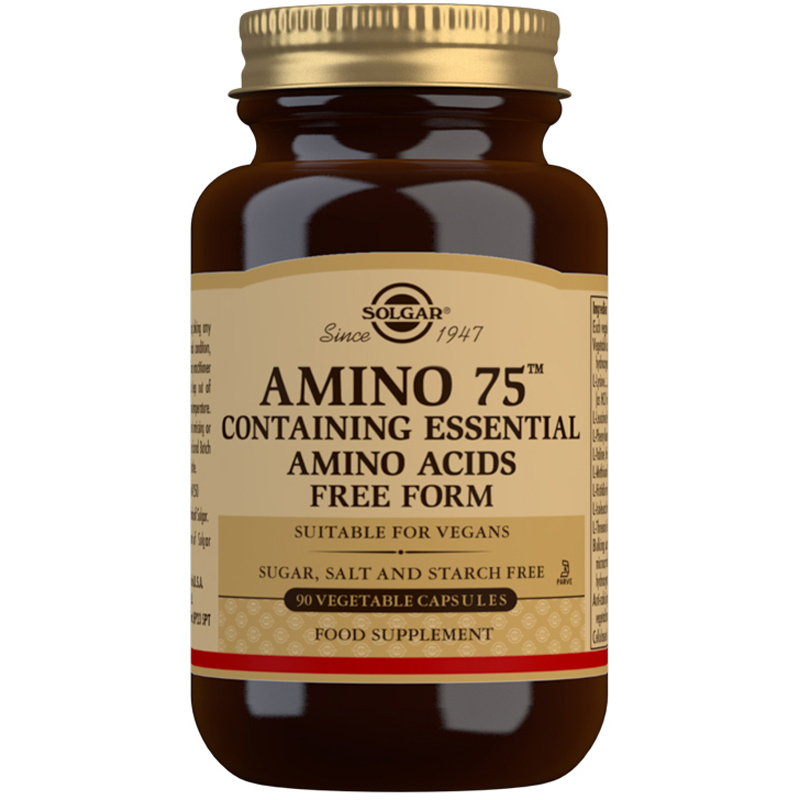 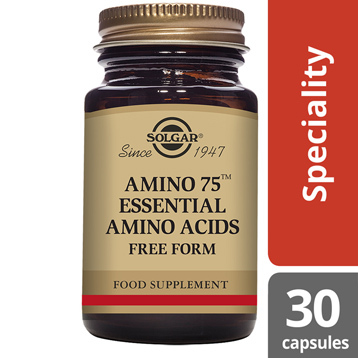 Solgar® Amino 75 Essential Amino Acids is a Vegan formula containing amino acids which are essential for human health. 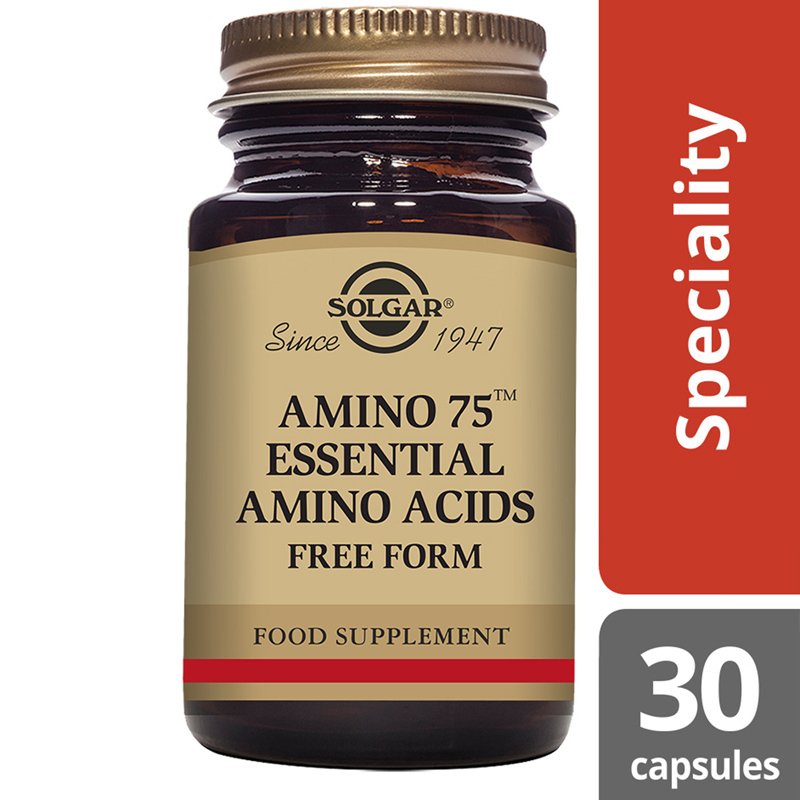 Solgar® Amino 75 Essential Amino Acids combines the 8 essential amino acids L-Lysine, L-Leucine, L-Phenylalanine, L-Valine, L-Methionine, L-Histidine, L-Isoleucine and L-Threonine for a holistic approach giving you the full spectrum of these essential protein building blocks. 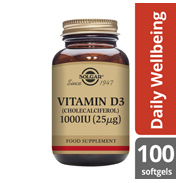 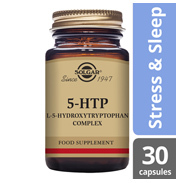 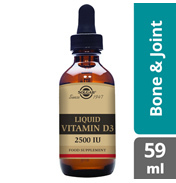 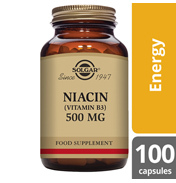 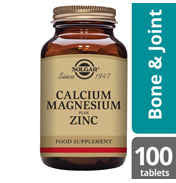 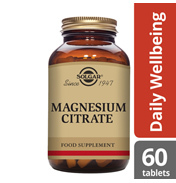 This comprehensive once a day formula is encapsulated in easy to swallow vegetable capsules. 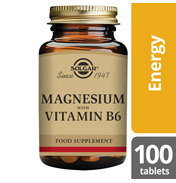 Vegetable Capsule Shell: hydroxypropylmethyl cellulose, L-Lysine (as HCI) (Free Form), L-Leucine (Free Form), L-Phenylalanine (Free Form), L-Valine (Free Form), L-Methionine (Free Form), L-Histidine (Free Form), L-Isoleucine (Free Form), L-Threonine (Free Form), Bulking Agents (microcrystalline cellulose, hydroxypropyl cellulose), Anti-caking Agents (vegetable magnesium stearate), Cellulose Gum. 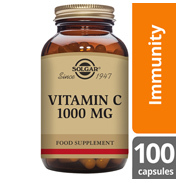 As a food supplement for adults, one (1) Vegicap daily with juice or water in between meals, or as directed by a healthcare practitioner. 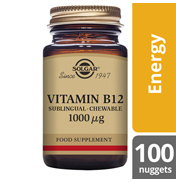 CAUTION: PHENYLKETONURICS (PKU) - This product contains Phenylalanine. 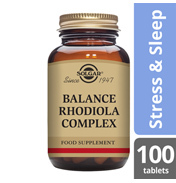 If you are pregnant, nursing, taking any medication or have a medical condition, please consult your healthcare practitioner before taking this product.